An exceptional getaway fulfills both body and spirit. For the former we proudly offer The St. Regis Athletic Club-our state-of-the-art 3,000 square feet workout facility. 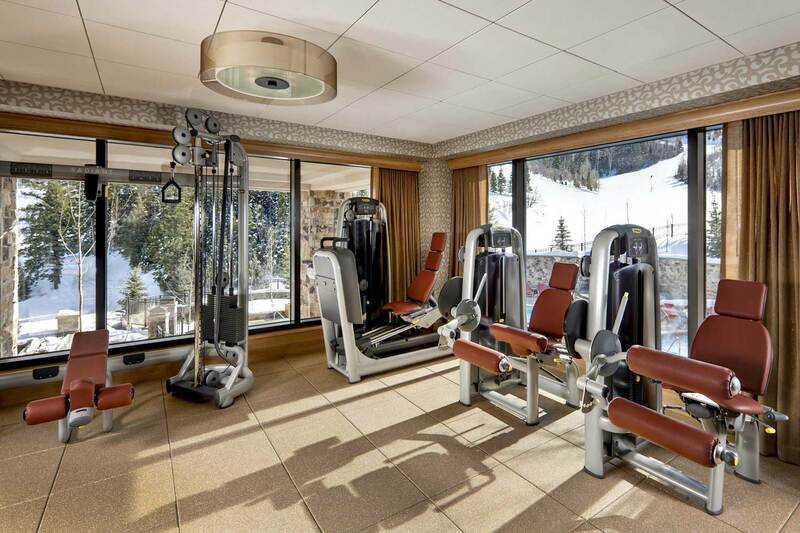 This light and airy space offers floor-to-ceiling mountain views and the finest in TechnoGym equipment, including treadmills and elipticals, upright and reclining bikes as well as strength training and core work areas with free weights. The facility also offers an adjacent yoga and pilates studio and personal trainingsessions. The St. Regis Athletic Club is complimentary for guests and available 24 hours a day, seven days a week.